Mt. 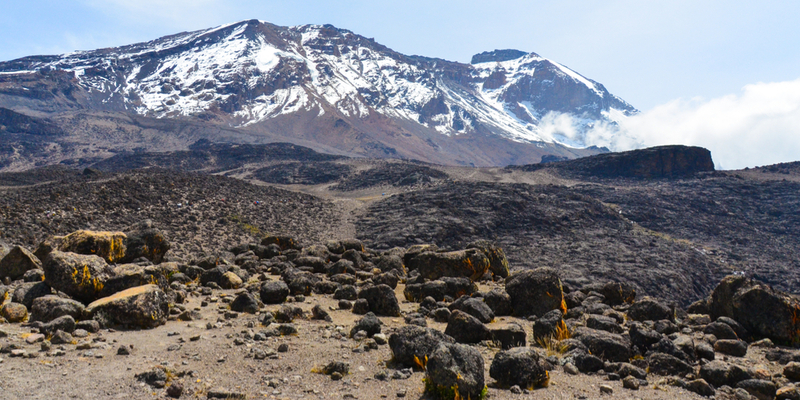 Kilimanjaro has five ecological zones; the lower slopes, rainforest, heather and moorland, alpine desert and the summit. Within each zone there is an association between altitude, rainfall, temperature, plants and animals. The zones occupy belts of approximately 3,281ft (1,000m) of altitude each. In general the temperature falls about 1C for every 6,56ft (200m) increase in altitude, rainfall also decreases steadily with altitude from the forest upward. Plant life is abundant in areas of high temperature and high rainfall. As you climb you will see that plant life decreases due to colder and drier conditions. 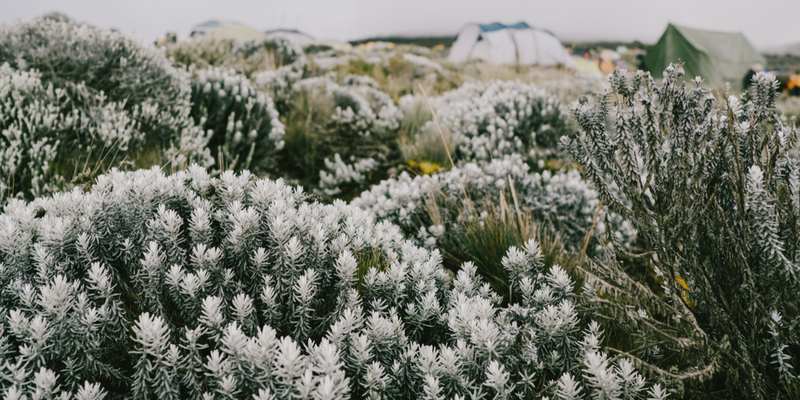 Wildlife is dependent on plants and because there is less vegetation at higher elevations there are also fewer animals that live at high altitudes. 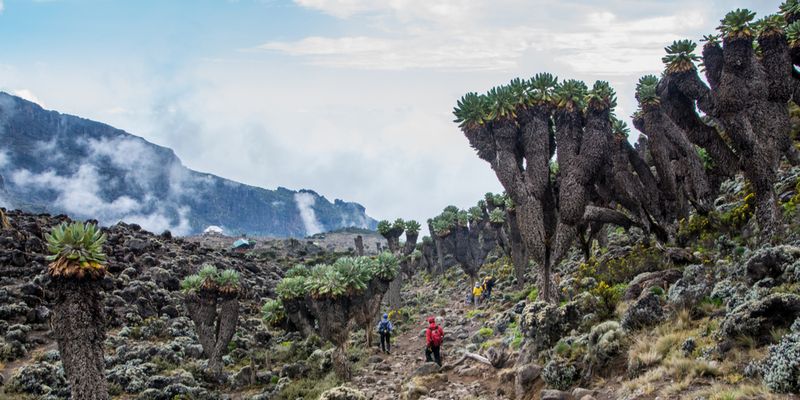 The first ecological zone on Kilimanjaro is largely cultivated land with banana, vegetable and coffee plantations. 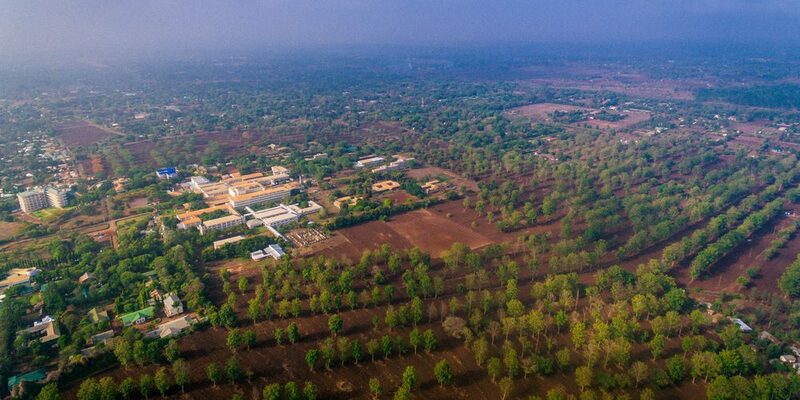 There are many villages inhabited by local tribes who work the land. The amount of rainfall varies, but increases toward the top of this zone as it nears the rainforest. You will not see large wild animals in the bushland/lower slopes. A band of extremely beautiful forest encircles Mt. 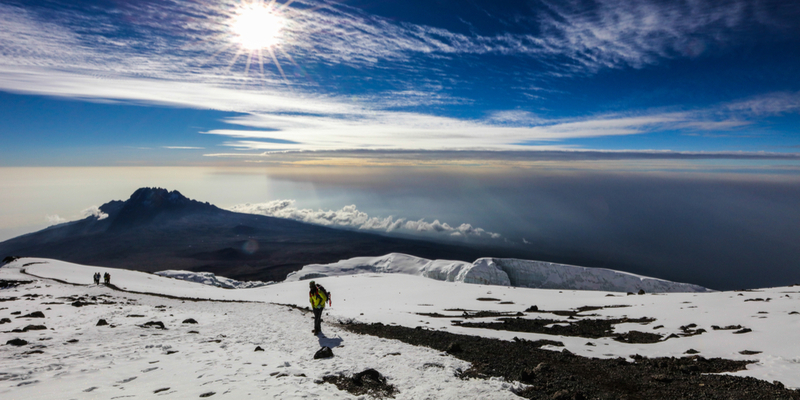 Kilimanjaro, commonly concealed in thick clouds, protected from the sun and making it difficult for the moisture to evaporate resulting in high humidity. The rainforest is the riches zone on the mountain and although flowers are not plentiful here, those seen are strikingly beautiful. 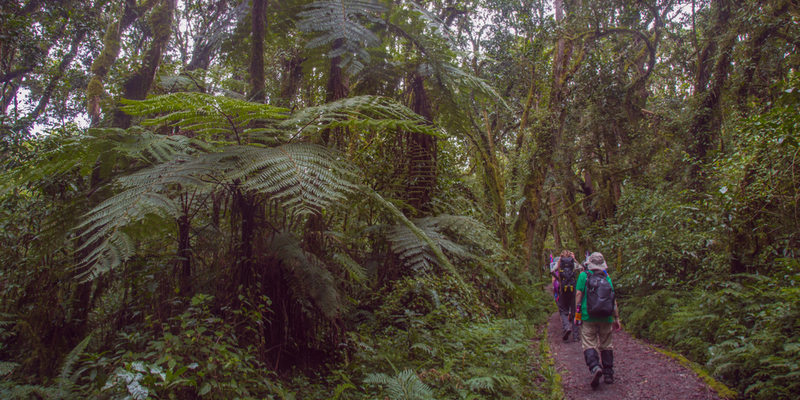 The rainforest is home to most of Kilimanjaro’s wildlife, often hidden from view. However, you are likely to see both blue monkeys, and the black and white Colobus monkeys. In the western part of Mt. Kilimanjaro that is close to Amboseli National Park in Kenya you might see elephants, antelopes, rodents, duiker and bushback. This area is referred to as the highbred zone that transitions from rainforest to alpine desert. The heather and moorland has a cool climate with mist and fog near the rainforest. Heather and heath-like shrubs grow here, as well as gorse-like bushes, attractive grasses and flowers. There are not many large mammals here and those that do visit the moorland are in transit, although eland, duiker, dogs, buffalo and elephants have been seen. You may see anguar and mountain buzzards, the crowned eagle, lammergeyer and the white-necked raven. The luna like landscape of the alpine desert is much drier with intense radiation, high evaporation and huge daily fluctuations in temperature, nights can be below 0C and in the day time as high as 25C to 35C in direct sun. Under these harsh conditions only the hardiest lichens, moss and tussock grasses survive. This zone does not offer much in the way of wildlife but its views are spectacular. The arctic conditions of this barren icy wasteland offers little or no rainfall, the sun blazes during the day and is replaced with subzero temperatures at night. In the arctic / summit zone oxygen is nearly half that at sea level and there is little atmosphere to protect you from the sun’s radiation. Creatures large and small are extremely rare here, although a leopard was once found frozen in the snow many years ago.